Christchurch City Libraries connects you with film related books, magazines, reviews, websites and the movies on DVD. General works on movies themselves are under the subject, then there are headings under names of countries, cities, i.e. Motion pictures – United States. Find posts about and reviews of books that have been adapted into movies or television shows. Search our catalogue for New Zealand feature films on DVD. Hundreds of clips from New Zealand films and television available to watch for free. Includes some full length movies and episodes of television series. Photographs of movie theatres from our collection. The Canterbury Film Society has excellent information on the history of Christchurch cinemas. It includes a chronological list of cinemas and their opening dates. Non-profit incorporated society that aims to screen interesting films (foreign films in particular). New Zealand’s popular Film Festival visits Christchurch in winter. Film reviews on The Press website. Greatest films is a selection of best of lists from Christchurch movie landmark Alice in Videoland. Our Internet gateway links to Awards sites and we also have a page on The Academy Awards. 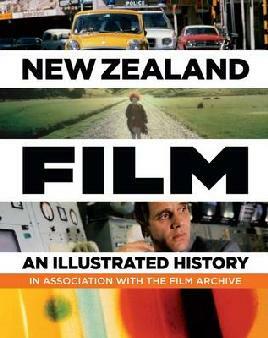 Read posts about film, theatre and television on Christchurch City Libraries’ blog. This source has thousands of magazines fulltext including entertainment magazines. Naxos brings you streaming video of over 300 classical music performances, opera, ballet, live concerts and documentaries.